Tracks Info: un film de 2 06:27 / so süss 04:47 love in my eyes 05:23 / stomp that beat 04:13 “pretty in plastique” links closely to their “seid bereit!” 12inch on EC some couple of years before - but they have polished their 80ies pop and new wave interpretation. It´s more straight forward melody orientated synths with not losing their classic trackprogramming, analog basslines and strings. 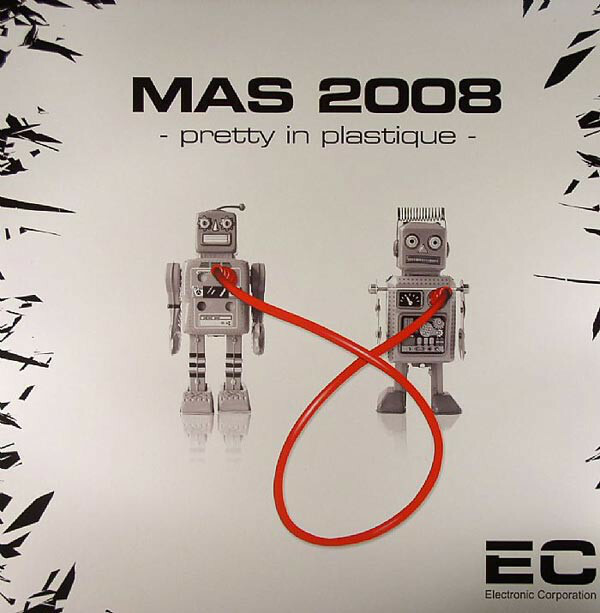 “pretty in plastique” shows the other part of the story where MAS 2008 are really from! – early 80ies avantgarde-pop. The weird “love in my eyes”, the DAF like “so süss” (engl. : so sweet) and the french filmic atittuded “un film de 2” – brings back the flair of a time.